The same design features as the classic Shooting Sweater, this medium weight all-wool sweater has all the qualities you would expect, combined with 100% pure new British wool. 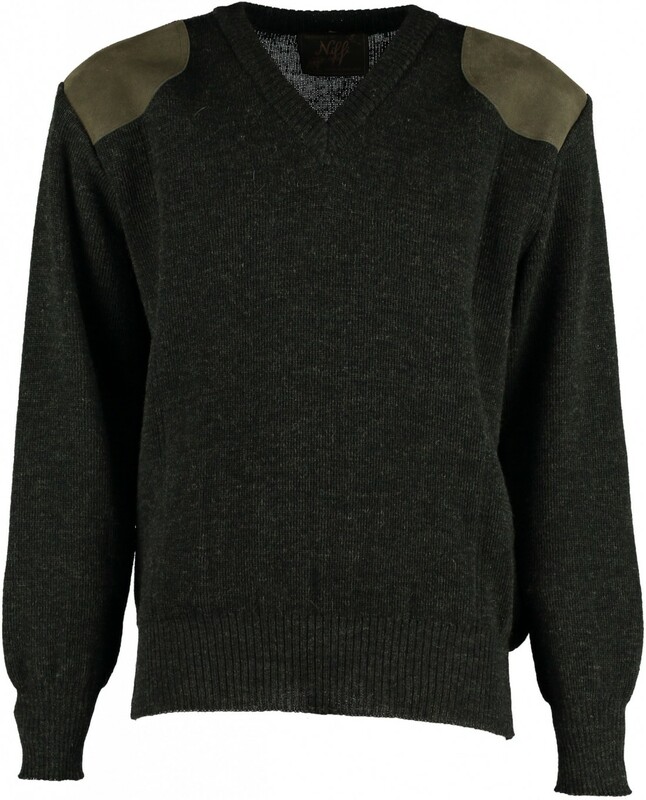 This gives the jumper a chunkier look and feel whist still keeping the smart appearance with hardwearing qualities; ideal for country pursuits. Classic fit with suede shoulder and elbow patches. This style also has distinctive knitted 'tramline' detail on the front. 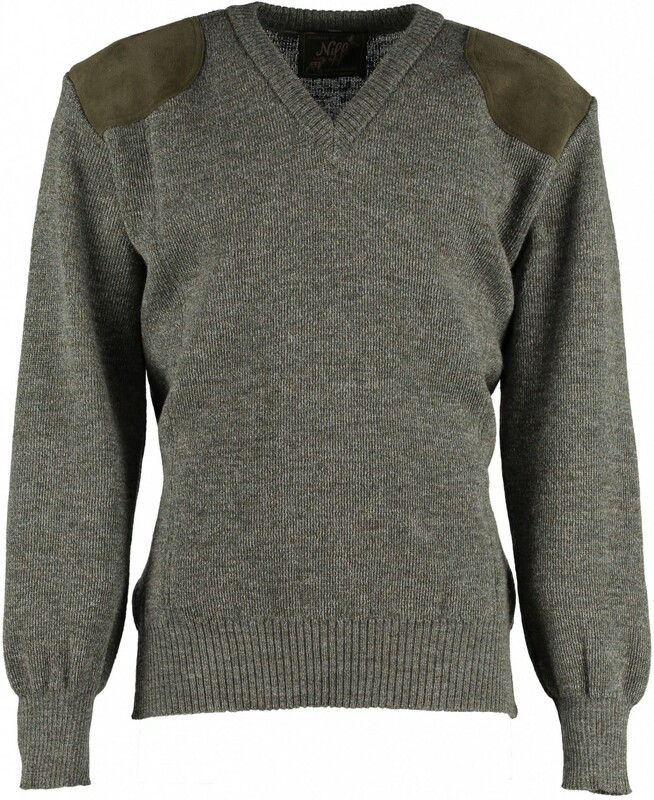 This vee neck jumper offers outstanding value for money.